Benjamin Meyer is currently finishing his PhD at the Institute of Virology in the group of Prof. Drosten. 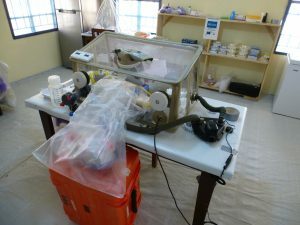 In the context of the recent Ebola outbreak, he joined the European Mobile Lab Team (EMLab), a pan European project, to perform Ebola diagnostics in Sierra Leone as part of the WHO GOARN emergency response. His PhD project originally dealt with development and implementation of serological assays for MERS-CoV (Middle East respiratory syndrome coronavirus) assays. 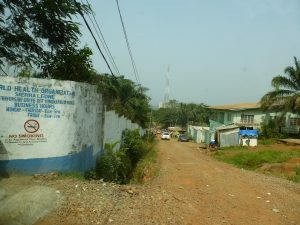 We interviewed Benjamin about this challenging journey and the work in Sierra Leone with the EMLab. Benjamin, you were in Sierra Leone over Christmas and New Year for one month to set up a field diagnostic laboratory for Ebola virus disease. How did you happen to join this project? Our group was invited by the Bernhard-Nocht-Institute. They were looking for volunteers with experience in working with highly contagious pathogens. At the beginning I did not realize that I was a suitable candidate as a volunteer, but when I envisioned that I can do that, I knew that I wanted to join the project. So, I wrote back that I would like to be a volunteer and go to Africa. However, I did take a couple of days to think about it since it is really not the kind of decision one should make in five minutes. 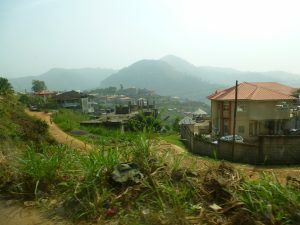 What were the challenges you faced in Sierra Leone? Up until two days before our flight, we thought that we were going to Liberia. But, as at that time, there were no new cases in Liberia, and the lab was moved to Sierra Leone. That meant that we first had to become familiar with the situation there and find a suitable location for the lab. The WHO helped us to find a building, and, in the first week, we drew plans for the building and carpenters were organized to set up separate rooms (such as a pre-PCR, post-PCR area, and an office area). Altogether, the first week was challenging with high workload, but since we were well equipped and trained everything worked out really well. The PCR assay for the Ebola diagnostics had to be established, and the laboratory needed to be set up. For the electricity supply special battery backups with built-in surge protection to buffer high voltages were required. We had to deal with high voltage on the grid that could destroy necessary equipment like laptop chargers or centrifuges and let light bulbs explode. We had to deal with a large sample size but still observe the highest safety precautions. We tested 25-35 samples per day in this lab. Strict procedures were followed so that no samples got mixed up. All of the checking and cross-checking, as well as the paperwork, took a lot of time. Still, due to our good team spirit and the great support from our coordination officer in Europe, the situation was managed very well and we always felt safe. Finally after one week we had successfully established and started the diagnostics. How did you experience the situation in Sierra Leone? How did the outbreak influence the people’s everyday lives? Did your experiences match the reports in the media? We were requested not to move around town freely. In the morning, we were picked up by a car from the hotel which also brought us back in the evening. During Christmas and New Year, gatherings were banned. People were not allowed to go to restaurants or bars after six o´clock as the government wanted to avoid crowds where the virus could be transmitted. Furthermore, there were travel restrictions: roadblocks and soldiers checking passports and ID-cards. We can only imagine how hard it was for the local population as they could not visit their families in the countryside for Christmas. Certain areas were quarantined, and people presumably felt very restricted. 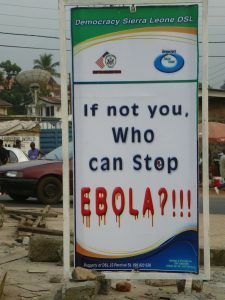 Overall, I think the situation in Sierra Leone was quite controlled. There were a lot of infections, but several NGOs were already there. I found the situation well managed: There was help available, and the situation was clearly better than some media reports in Germany suggest. What do you think are the main issues that needed to be resolved next to fight the ongoing outbreak? First, it is very important to educate the population about the disease and to be open-minded about it. Second, contact tracing to get transmission under control should be fortified, and, for this, a reliable infrastructure has to be set up. Furthermore, hidden transmission chains and unsafe burials are a real issue. But, overall, the case numbers are going down, and with all the precautions that are in place right now, I think the outbreak should be under control soon.